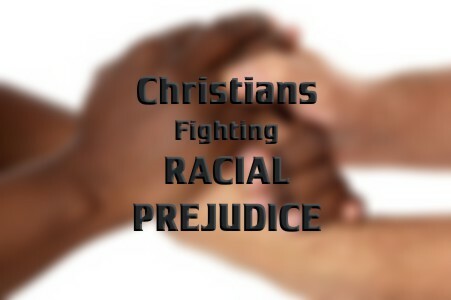 How can believers fight against racial prejudice and hate groups? When the Apostle Paul was witnessing to the Greeks about Christ, he told them that God “made from one man every nation of mankind to live on all the face of the earth, having determined allotted periods and the boundaries of their dwelling place” (Acts 17:26). Paul could have also said, as he did elsewhere in Scripture, that, “There is neither Jew nor Greek, there is neither slave nor free, there is no male and female, for you are all one in Christ Jesus” (Gal 3:28), so just because God has placed mankind within various “boundaries of their dwelling place(s),” this doesn’t mean the people of those “dwelling places” are inferior, or for that matter, superior. God does not determine a nation’s blessings or curses based upon the color of their skin but upon their submission to God. In fact, God allowed foreigners to join the nation of Israel, as long as they kept the laws of God, so God does not discriminate based upon color, but rather, God looks at the heart (1st Sam 16:7). I do not like to classify people by their skin color, ethnic origin, or race…because there is only one race which God created; the human race. People are more than the pigmentation of their skin because character is within, not without. If we can teach our children and grandchildren God’s view on prejudice, they’ll know that it’s wrong to think some people are inferior and some people are superior. Parents and grandparents hold huge responsibilities for the way they treat and talk about others who are different from the way they are. Undoubtedly, we’ll all stand before God for the way we influence our children/grandchildren. God is no respecter of persons, and neither should we be (Acts 10:34). Color doesn’t matter. The last time I donated blood, everyone’s blood was the same color, even if our skin color wasn’t. How can you fight racial prejudice? In the Sermon on the Mount, Jesus’ places a very high value on being a peacemaker, saying “Blessed are the peacemakers, for they shall be called sons of God” (Matt 5:9), so peacemakers have the privilege of being called the sons and daughters of God. Before they could become the children of God, they first had to make peace with God, and those that did, “have been justified by faith, we have peace with God through our Lord Jesus Christ (Rom 5:1), so that lifts the condemnation we had prior to trusting in Christ (Rom 8:1). You cannot be a peacemaker until you’ve made peace with God, and if you have, how can you make peace in a world full of racial prejudice and hatred? I’ve been in a few church board meetings where tempers began to flare, so I have discovered that it’s true that “A soft answer turns away wrath, but a harsh word stirs up anger” (Prov 15:1), but it also takes patience with one another, since “With patience a ruler may be persuaded” (Prov 25:15). A peacemaker knows that a soft voice, a patient attitude, and a person who is “slow to anger has great understanding, but he who has a hasty temper exalts folly” (Prov 14:29), so it takes a soft tone of voice, a patient understanding of others, and having a firm grasp on your anger, since “who is slow to anger quiets contention” (Prov 15:18). When you see that an argument is beginning to escalate, why not respond with a soft voice, showing good patience, and not letting it get to you. If people were more “quick to hear, slow to speak, slow to anger” (James 1:19), our world wouldn’t be in such a mess. We can’t quiet the world, but we can quiet ourselves, trusting God to judge those who spout racial hatred and prejudice (Rom 12:19). When Jesus was being nailed on the cross, who among us would have been able to utter what He did? He asked the Father to forgive them because they didn’t really know what they were doing (Luke 23:35). When the Apostle Paul told the church at Rome, the church had already experienced great suffering. Many lost their jobs, their family, their homes, and of course, many lost their lives, so in the context of the suffering church at Rome, Paul said, “Beloved, never avenge yourselves, but leave it to the wrath of God, for it is written, ‘Vengeance is mine, I will repay, says the Lord’” (Rom 12:19), so instead of retaliating against those who do us harm, Paul says, “if your enemy is hungry, feed him; if he is thirsty, give him something to drink; for by so doing you will heap burning coals on his head. Do not be overcome by evil, but overcome evil with good” (Rom 12:20-21). Paul’s last point is that we don’t overcome evil with more evil since two wrongs never make a right. You don’t’ fight fire with fire. Here’s how you fight the raging fire of prejudice and hatred: “Love your enemies, do good to those who hate you, bless those who curse you, pray for those who abuse you” (Luke 6:27-28). How can you fight racial prejudice? Try this: “love your enemies, and do good, and lend, expecting nothing in return, and your reward will be great, and you will be sons of the Most High, for he is kind to the ungrateful and the evil” (Luke 6:35). Again, there is the connection between the children of God and being a peacemaker. We do that by loving those who don’t deserve it. Sounds familiar, doesn’t it, since it was “while we were still weak, at the right time Christ died for the ungodly” (Rom 5:6), as “God shows his love for us in that while we were still sinners, Christ died for us” (Rom 5:8), and even “while we were enemies we were reconciled to God by the death of his Son” (Rom 5:10a). Many years ago I remember my history professor telling me an interesting statistical fact. He said that historians are among the least prejudice people within their societies. Not just in the U.S., but among other nations too. He thought the connection was that historians better understood the culture of certain people groups, and developed a deeper appreciation for how they lived. Historians were not interested in the color of a person’s skin, but how they lived in the past. How their society has learned from the past, or keeps on repeating it. His conclusion was that the more that the historian learned about other cultures and nations, the less prejudice he had about people of different color or from different nations. Historians must have known that it’s what’s inside these people’s heart that makes them tick…not their outward appearance or the color of their skin. That historian’s words sounded a lot like God’s word to the Prophet Samuel when God was selecting a king for Israel: “But the Lord said to Samuel, “Do not look on his appearance or on the height of his stature, because I have rejected him. For the Lord sees not as man sees: man looks on the outward appearance, but the Lord looks on the heart” (1st Sam 16:7). I pray we can all do the same. Great ideas! And great timing. I’m read a book about practical ways to help fulfill Jesus’ prayer in John 17 for unity in the body of Christ. It’s really like a manual that presents lots of usable ways for Christians to overcome the barriers between them. It’s called ONE and is by Henry Hon.